Royal Musings: Duchess Pauline becomes a doctor's wife ... and a Socialist. Duchess Pauline becomes a doctor's wife ... and a Socialist. While looking through the wonderful Die Souveränen Fürstenhäuser Europas, which was published in 1898-1899, I noticed that the Württemberg section did not include a portrait of Duchess Pauline of Württemberg, the daughter of Prince Eugen and his wife, Princess Mathilde of Schaumburg-Lippe. Pauline, who was born in 1854, was still alive when the book was published. But she was no longer considered a member of the Württemberg royal family because of her marriage to a doctor -- and then there was the matter of her devotion to socialist causes. Pauline first met her future husband, Dr. Melchior Willim, when he was called in to treat her mother. The young doctor, a year the Princess's junior, apparently "made a deep impression on the heart of Pauline," who informed her family that she could "never lead a happy conjugal existence with any other man." King Karl of Württemberg agreed to the marriage with certain conditions. The marriage would be morganatic, and the Princess would be required to renounce her royal titles and privileges. This she did willingly. On the day of her marriage, May 1, 1880, Pauline was created Frau von Kirbach. The marriage took place in Carlsruhe in Silesia, where the pastor remarked "on the deep and unselfish nature of an affection which could induce a royal princess to sacrifice the advantages of the highest rank, and of luxury, at the altar." Apparently the pastor's comments offended the bride, who turned to the congregation and said: "I wish to affirm once and for all time, that in marrying the man of my choice, I am not conscious of having surrendered anything to which I attach the slightest importance." Pauline never returned to Württemberg. She and her husband, a successful physician, settled in Breslau (now Wroclaw, Poland), where they raised their family, two daughters, Marcella and Micaela and a son, Melchior, an eye doctor. The former duchess never regretted her decision to give up her royal life. By 1886, she was a member of the Social Democratic party, and was also active in the fledgeling womens' rights movement. She was one of "the most energetic spellbinders of the socialist party," and would give speeches from platforms, outdoor meetings and on street corners. She also converted her husband to the socialist cause. She had little contact with her royal relatives, and this was due to her socialist leanings, and not because of her marriage. When the Duchess of Saxe-Meiningen (the former Princess Charlotte of Prussia) came to live in Breslau, where her husband, Bernhard was in command of the troops, she "was compelled to hold afloof" from Pauline. One journalist noted that in her later years, Pauline had "lost all traces if any beauty" she may have had, and she had become eccentric, "showing a decided preference for red blouses, which naturally were construed as a manifestation for her alleged socialist leanings." At a meeting of the Socialist Congress in Breslau in October 1895, "the most striking figure in the congress was a tall woman of 40 years." Pauline von Kirbach wore a black silk skirt, a fiery red silk blouse and a huntress' hat, and had attended each day's proceedings and had watched the debates "with the eagerness of a zealous partisan." Although Pauline had renounced her titles, she did not lose her private fortune. She used her inheritance to help the poor. In June 1899, a Washington Post columnist noted that Pauline "sports shirtwaists of the fiercest hue of red, and is renowned for her eccentricity, which occasionally leads her to wander about the streets followed by goats, cats, poultry and other domestic pets." Melchior Willim died at Breslau in October 1910. He was 56-years-old. Pauline survived him for only four years. She died on April 23, 1914 in Breslau. No royals attended her funeral. She was mourned by socialists who left floral tributes on her coffin. Very little is known about her descendants. Nothing is known about Marcella or Micaela. Young Melchior became an eye doctor and emigrated to Paraguay. Today, Pauline's descendants live in Paraguay and in the United States. I have not seen a photograph of Pauline von Kirbach or Mrs. Willim. thanks for this article. I like your series about "minor, but "usual royals". I hope you continue this. Should turned into a book, but in form of these picture book a la "Royalty after the war" etc. One question if I may: did the children of Pauline had the title of their mother "Herr/Frau von Kirbach" or their father's name? The ideas are from clips that were in a pile and needed to be filed. The family had the name Willim ... and thanks for giving the link to Bill's work ... he had told me about it some time ago. 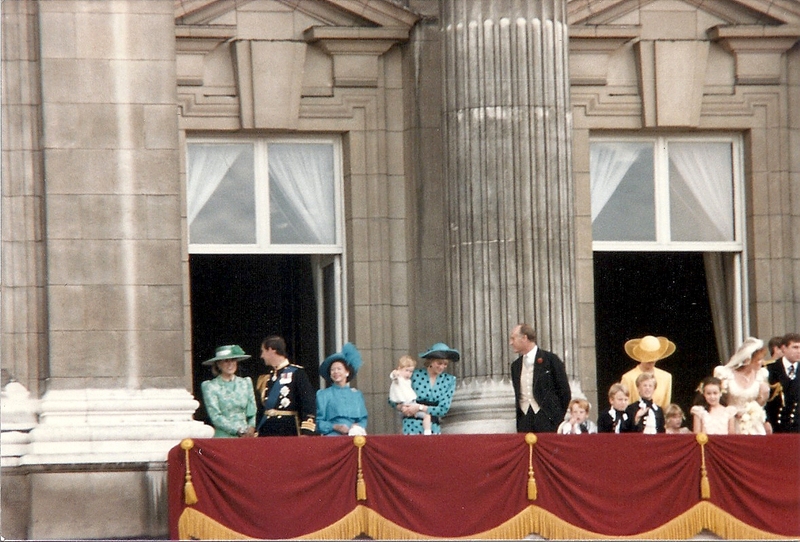 I've seen the only one image of Duchess Pauline on the Hulton Archive on-line a long ago. That's a sketch from a photo. Svetabel, that's possible -- one wonders if the Wurttemnerg archives have anything ... no photo of her, however, in Das Haus Württemberg. Thanks for this. I have a book about Pauline's sister-in-law, Duchess Vera, né Grand Duchess of Russia and in it's mentioned that Pauline's mother full understand Pauline's decision to marry a commoner and to give up her status and even helped her to get permisson from king Karl i. for the marriage. It is mentnioned that some members of the Royal FAmily where amused about this "mesalliance" but the future King Wilhelm II. wished them all the best. What is the name of the book, and the author. I would like to request it through interlibrary loan. from Paul sauer ( he has also writen Niographies about the four King of Württemberg) and was publisehed in 2004 on the occasion of the 150. anniversary of her birth. In case you're still interested, the state archive of Baden-Württemberg does have documents about her, there's also one picture. And the king of Württemberg sent at least a wreath to her funeral in 1914. I don't have a source for that on the Internet, but I read it while I was researching for my Bachelor thesis in the „Volkswacht. Tageszeitung für das werktätigte Volk Oberbadens, Freiburg, April 27th 1914, p. 5".